Executive summary: What Makes Sammy Run? Born 1914 to B. P. Schulberg, a Paramount executive, and Adeline Jafee, a literary agent, Budd Schulberg was in the 1930s involved with the Communist Party USA, having traveled to the Soviet Union in 1934. He was bothered by the disparity of those hit by the Great Depression and the prosperity of his own family. But by the end of the decade, the dogmatism of CPUSA compelled him to split from it. When it came time to "name names" to the House Un-American Activities Committee, he did exactly that -- he named the people who had, decades before, chose the Party over their friendship bond with him. He did not at the time comprehend the malignancy of the McCarthy hearings. Schulberg authored several influential novels. What Makes Sammy Run? (1941) follows Sammy Glick, a Jew from New York City who becomes a leading Hollywood screenwriter. It is, essentially, an exposé of that business, one that hit so close to home that Samuel Goldwyn purportedly offered him a bribe not to publish it. It became a Broadway play but as yet, has never been adapted to film. Decades later, Schulberg was horrified to learn that Glick was considered by some to be a hero, instead of the anti-hero he intended. A later novel, The Harder They Fall (1947), is a roman à clef of boxer Primo Carnera, who allegedly fought fixed matches. It was made into a successful film, The Harder They Fall (1956). It is for one screenplay that Schulberg is best known. On the Waterfront (1954) is a film of the mafia involvement with longshoremen, one of the most famous movies ever made. It received eight Academy Awards including Best Picture and Best Screenplay. Marlon Brando's lines, "I coulda been a contender... I coulda been somebody. Instead of a bum, which is what I am" are probably the most quoted from any film. Schulberg also wrote the screenplay to A Face in the Crowd (1957), based on his short story, Your Arkansas Traveler. It is the tale of a purported hobo discovered by a radio producer, and given a show. Things go well for a while, until the true nature of "Lonesome Rhodes" is revealed. The film did not win any Academy Awards, but in 2008 it was placed in the National Film Registry. 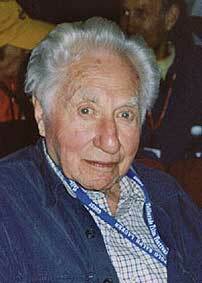 Budd Schulberg was a prolific writer, and remained active until his death at age 95 on Long Island. He strove to help young and disadvantaged writers, founding in 1965 the Douglass House Watts Writers Workshop (Los Angeles) and in 1971, the Douglass Creative Arts Center (New York), both of which still operate.